August Pullman was born with a facial deformity that, up until now, has prevented him from going to a mainstream school. Starting 5th grade at Beecher Prep, he wants nothing more than to be treated as an ordinary kid—but his new classmates can’t get past Auggie’s extraordinary face. WONDER, now a #1 New York Times bestseller and included on the Texas Blue bonnet Award master list, begins from Auggie’s point of view, but soon switches to include his classmates, his sister, her boyfriend, and others. These perspectives converge in a portrait of one community’s struggle with empathy, compassion, and acceptance. "Wonder is the best kids' book of the year," said Emily Bazelon, senior editor at Slate.com and author of Sticks and Stones: Defeating the Culture of Bullying and Rediscovering the Power of Character and Empathy. In a world where bullying among young people is an epidemic, this is a refreshing new narrative full of heart and hope. R.J. Palacio has called her debut novel “a meditation on kindness” —indeed, every reader will come away with a greater appreciation for the simple courage of friendship. Auggie is a hero to root for, a diamond in the rough who proves thatyou can’t blend in when you were born to stand out. 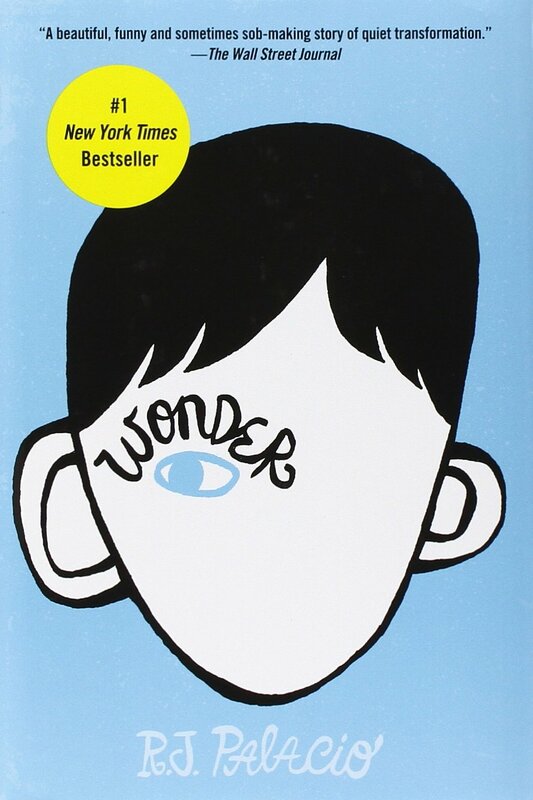 WONDER is a story of a 5th grade boy whose face is deformed. Fifth grade is hard enough but when you look different it is even harder. WONDER is told in several POVs (all children’s). Reading about Auggie’s life from all these different vantage points made the story have a lot of heart. The short chapters made the book flow nicely. WONDER is the kid version of Making Faces. It pulled at my mom heartstrings, it made me laugh and most importantly it reminded me to – Choose to be kind. READ THIS BOOK. Share it with the young adults and kids in your life. Never let a teaching moment pass you by.